Acknowledgements. List of Contributors. Chapter 1: Vibration. Chapter 2: Blast Design. 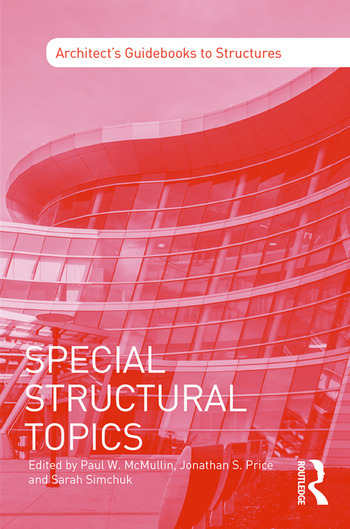 Chapter 3: Sustainable Structures. Chapter 4: Performance Based Seismic Design. Chapter 5: Structural Retrofit. Chapter 6: Geotechnical Considerations. Chapter 7: Structural Integrity. Chapter 8: Cladding. Chapter 9: Fire Design. Chapter 10: Quality and Inspection. Glossary. Bibliography. Index. Sarah Simchuk is a project architect and fine artist working towards architectural licensure in large-scale retail design. She holds a Bachelor’s and Master’s degree in Architecture from the University of Utah. She is in the early stages of her architectural career, with an inclination towards design and details in project management. She comes from a fine art background, with more than 15 years’ experience in hand drawing and rendering, and lends a 3-D approach to the understanding of structures.